Why exactly is having high blood sugar so bad and why are we worried about it? 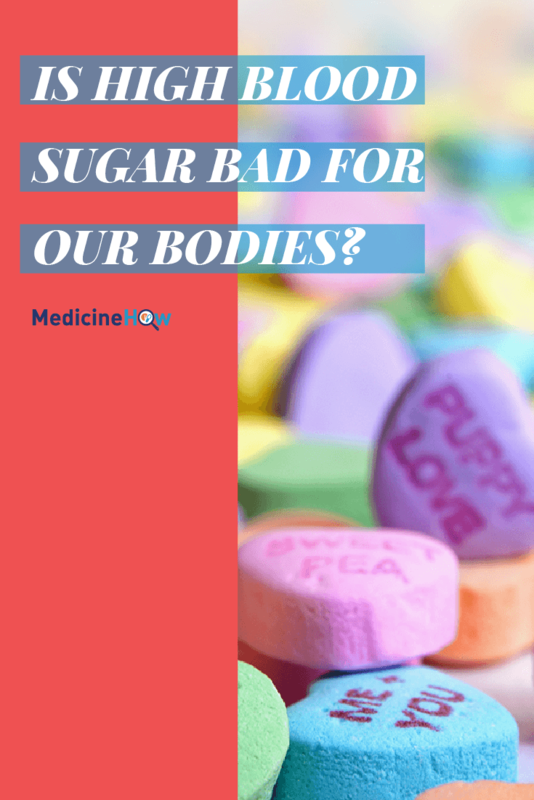 Can our body function normally with a little too much glucose in our blood? 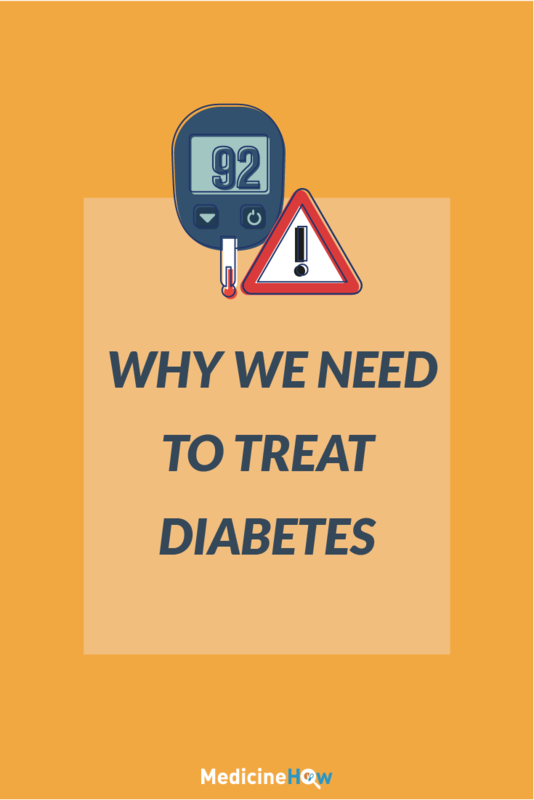 Why do we need to treat diabetes? 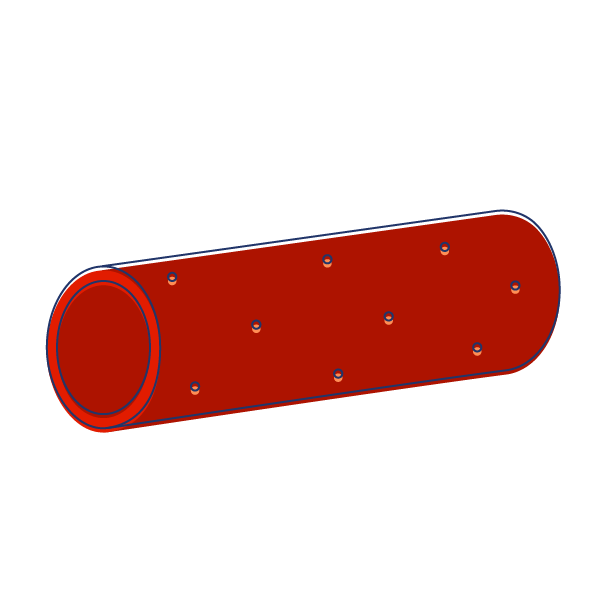 The aim of this post to give you the answers to these questions. We’ve already taken a look at what happens when someone gets diabetes – now it’s time to look at the consequences of when things go wrong. And let me assure you, it’s not pretty. Damage to the retina in the eye, also called retinopathy, is a common consequence of uncontrolled diabetes, both Type 1 and Type 2. In fact, over 10000 people with diabetes suffer from blindness as a direct result every year (read here). 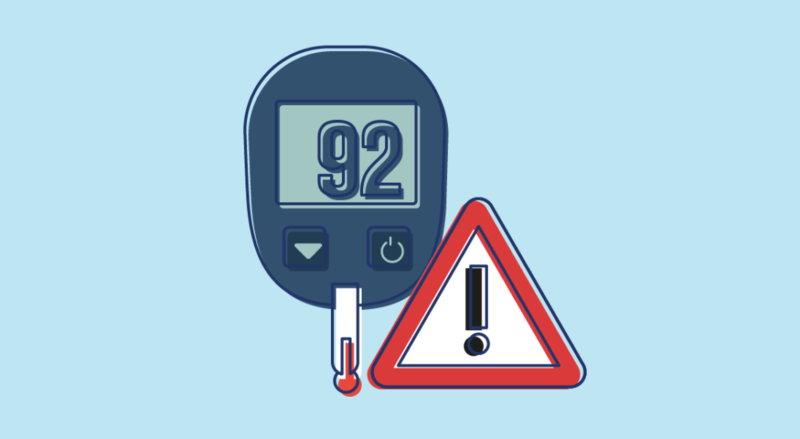 As Type 2 diabetes tends to creep up more slowly that Type 1 diabetes, people can have diabetes for up to 10 years before they are diagnosed and receive treatment – this is particularly worrying as some people have already developed some damage before they are even diagnosed. Why does the retinopathy occur? For the specific and complex answer read here, but for now I’m going to keep it a little more simplistic. Essentially, the blood vessels in the eye are very delicate. When there is excess glucose, some of it attaches to the protein in our blood and these larger molecules, called glycosylated protein can cause damage to the intricate blood vessels in the retina. 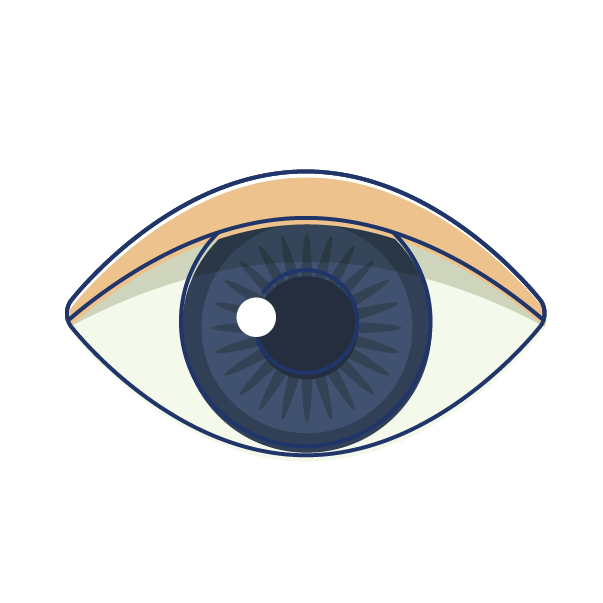 Over time, enough damage can occur to result in blindness. For anyone who a little unsure about the physiology of the body, it is our kidneys that produce urine. 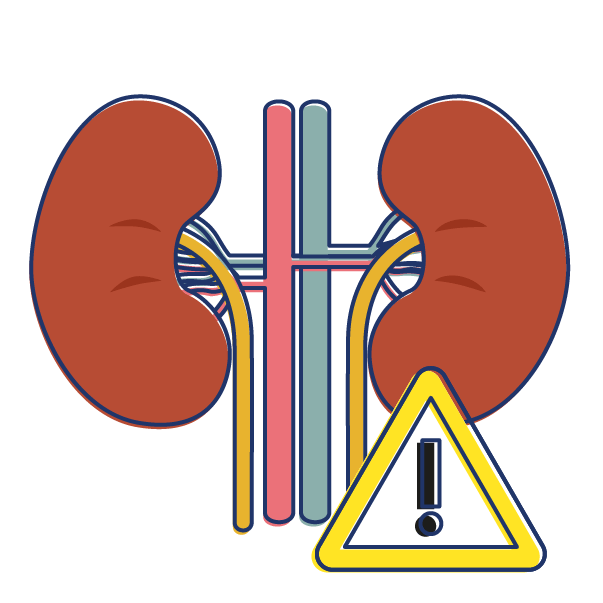 Therefore, damage to the kidneys (also known as nephropathy) can result in changes to renal function/urine production. Normally, the kidney filters our blood and reabsorbs the things that we still need so that it isn’t excreted in our urine. Glucose is one of those things. In fact, there is usually no glucose at all in our urine. For someone with uncontrolled diabetes, both Type 1 and Type 2, there is simply too much glucose in our blood stream. The body can’t reabsorb all of the glucose because of the sheer amount of it, so some comes out in our urine. Our body responds by producing more urine to dilute the glucose, which is the cause for two symptoms of diabetes (increased urination and thirst). We’ll go further into this in another post. All of this extra pressure doesn’t bode so well for our kidneys, which over time result in damages. Diabetic Foot is a condition that results in 80% of all foot amputations (read here) and is due to the effect high blood sugar has on the neurons of our nervous system (once again, this affects both Type 1 and Type 2). How exactly high blood glucose causes damage to neurons (also known as neuropathy) is not known exactly, but once again glucose attaching to proteins in the blood is likely to have some effect, along with other related mechanisms such as increased sorbitol (another type of sugar) production. The damaged neurons lead to lack of feeling (usually it is neurons that carry messages of sensation to the brain) and also reduces the body’s ability to fight any infection that occurs, particularly in the extremities like the foot. Even if there is only a small wound that would usually heal easily, someone with diabetes may not feel that it and a substantial infection can grow because the body is less capable of fighting it off. When it gets particularly bad, the entire foot may need to be amputated. 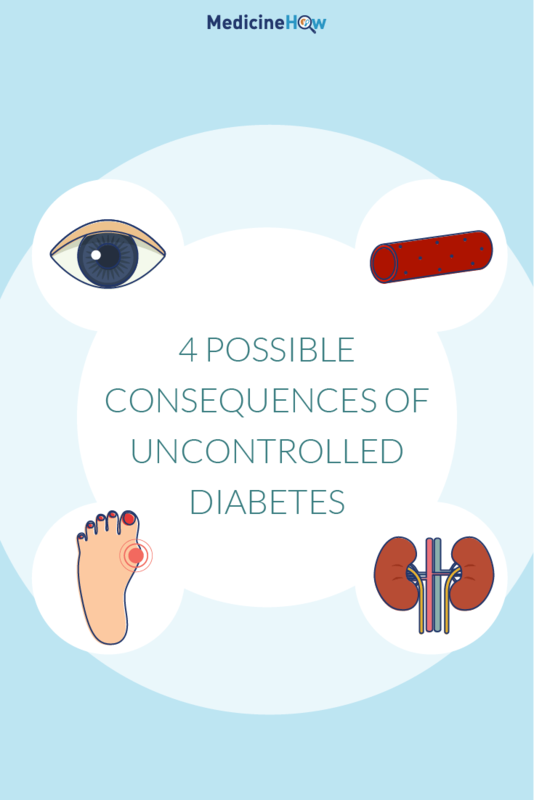 It is for this reason, that diabetics should try to wear sensible footwear and check their feet for wounds they may not feel, to avoid such complications. Finally, there is damage to the blood vessels. This is mainly due to atherosclerosis, a build-up of fatty substances that block the path of the blood, making it more difficult to pass through. This can lead to cardiovascular disease and increased risk of events, such as a heart attack. Cardiovascular disease due to diabetes is more common in Type 2 diabetes; this is likely because there are some risk factors, such as obesity, that increases your chances of getting Type 2 diabetes and also of getting cardiovascular disease. Once again, the damage is due to the effect glucose has on the bloodstream. When it attaches to proteins in the blood, the glycosylated proteins are more likely to form the beginnings of the fatty tissue. Over time, this can build up to atherosclerosis and damage the blood circulation. There’s hope. Yes, some horrible things can happen to the body when it is exposed to high blood sugar but we are not without hope. We are fortunate to live in a society that knows a little about diabetes and the consequences and have the means to protect ourselves, at least to a certain extent. Perhaps you noticed a certain theme between each of these complications: the problems arise when there is too much glucose for too long. Therefore, our aim to managing diabetes is simple: reduce the amount of glucose in our bloodstream from the earliest point possible. In this, we can do a few things. Diabetics can use medication and modify lifestyle to keep glucose at a normal level in the blood. To reduce the time one is exposed to high glucose, an early diagnosis is preferable. Particularly Type 2 diabetes symptoms tend to creep up on people and some are diagnosed after the damage has already begun. For this reason, the next post in this series will be all about the signs and symptoms of diabetes. This is the third post in the All About Diabetes series. We’ve already covered What is Diabetes? and next up we’re going to discuss the Signs and Symptoms of Diabetes.